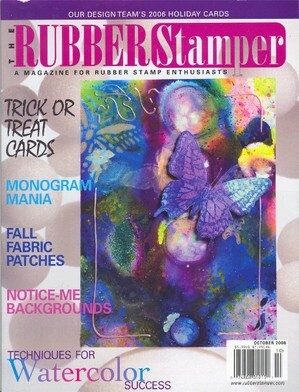 Upon my return home I discovered amidst the mail that needed opening my complimentary copy of Rubber Stamper. For all those who like to follow what it is that I'm "up to" you can find my card on page 51. This issue has many interesting subjects - I look forward to reading it. 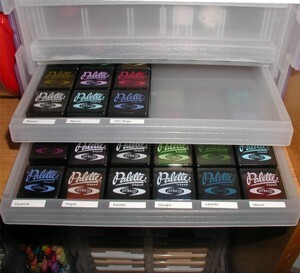 It covers watercolor tips, blender pens, and monograms just to name a few. I'm off to get some rest - this achy body needs it! My trip to Minnesconsin (Minnesota and Wisconsin - dubbed Minnesconsin by my dear and crazy friends) was simply amazing!!! It all started with a stay at a friends absolutely incredible, shabby chic home. Lisa was such a gracious hostess and I had so much fun spending a little one on one time chatting and creating in the wee hours after I arrived. Thank goodness for her inspiration - I was so tired I just sat there wondering what I was going to do. She gave me the best jump start by sharing some of the projects she has created using transparencies. I promised to post pictures of the completed projects so that the wonderful ladies in my class could come here for a refresher and put their projects together. We spent the time in class focusing on coloring techniques rather than "finishing" the cards. So all of my students checking in I hope to have those up sometime tomorrow or this weekend! 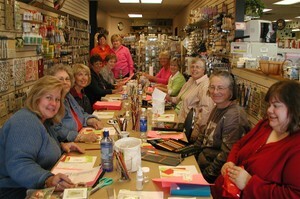 All day Wednesday I had the honor of working with the amazing ladies at that attended class at Smudges. If you live in the Twin Cities area please take the time to make a trip over to Smudges!!! It is the most wonderful stamp store for many reasons. We laughed and created from 9:00 in the morning until 6:00 at night. What a wonderful way to spend the day!!! 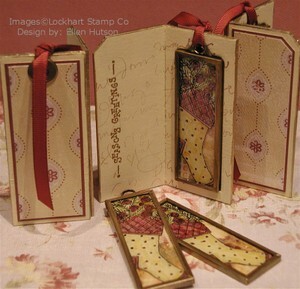 You will also want to head over to Smudges because they carry the best of the best Ü Lockhart Stamp Company (of course), but many other wonderful stamp lines. In addition all the "tools" I can't live without are right there at your fingertips for purchase - no more waiting! Ultra Clean, Scor-It, Memory Box Notecards and 6x6 Paper - you name it Trish has it and if she doesn't she will work with you to get it ASAP. So call Smudges at (952)974-9885 to find out what is next on their agenda. I do believe they might be coloring on Wednesday afternoons just to practice some of the techniques I shared in class. You will not regret spending time with these awesome ladies! I then had the pure pleasure of joining 23 of my dear friends at an AMAZING (sorry I just can't think of another word because well... it was all just simply amazing - LOL!) retreat center - White's Wildwood Retreat - for what seemed like the shortest four days of my life. (I will only share the name of this place because we have our space booked for the next two years!) We stamped, we chatted, we hugged, we laughed, we cried (yep we watched Grey's Anatomy together). My face literally hurt from smiling so much Ü The stamping projects were awesome, but it will be the memories of the friendship that will forever be held close to my heart. My stay was not complete without a few more adventures with some of these fabulous friends. Suze put up with me for a couple of nights and transported me around to the many shopping havens in the Twin Cities area. 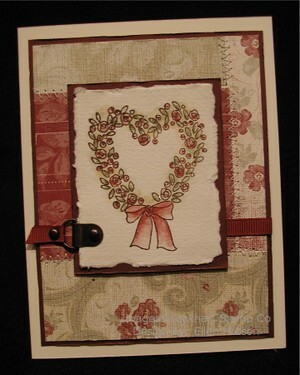 I must say that Crafts Direct blew me away!!! What a monstrous store!!! Suze even got up at O' dark thirty to get me to the airport the next morning - that is the sign of a true friend!!! Thank you ladies for the time of my life!!! Needless to say I am waaaaaaay behind - like Julie would say - I'm so far behind that I see my own hiney ahead. That's SCARY! LOL! Thank you all for your patience!!! I just walked through the door from my trip to Minnesota and Wisconsin - all I can say is WOW!!! Yes - some of you figured out my question from yesterday - insert big grinning smilie. 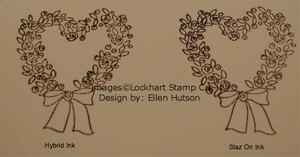 I am thrilled to share the latest release of Lockhart stamp designs!!! 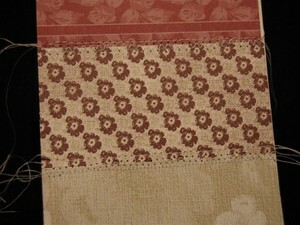 Not only do we have more Vegetable Couture dresses to play with, BUT we have the new Petite Le Fleur line! This is going to blow out the doors in my not so humble opinion - LOL! I have been pleading with Karen for these and now I'm pleading for more, so join me by commenting below and I will compile all of our requests to give Karen the inspiration she needs to get crackin' on a few more of my special requests - LOL! So now for your viewing pleasure... (accompanied by magnificent music) I unveil to you... the brand spankin' new, burning a hole on the shelf, fabulous new designs from Karen Lockhart!!!! I will be adding these images to the "Shop Fashion" segment of this website today and tomorrow. They are on the shelves and ready to fly out the doors!!! Yesterday's class participants were able to walk out the door of Make an Impression with these beauties (I brought them along with me - WOOHOO) and believe me when I tell you that the ladies were thrilled to add seven new images to their growing Lockhart collection. The chatter was so much fun - it is so amazing to be able to be the conveyour of such awesome news! 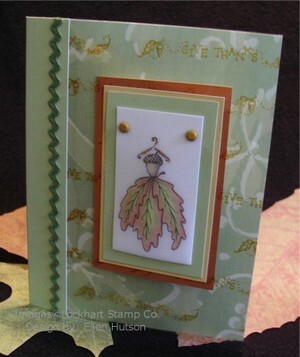 I discussed with them some of the fabulous things that I will be doing with these chic little images. I can hardly wait for more time to spill some of the details here! Oh for more time!!! So TTFN and have a wonderful weekend. P.S. If you would like to get an order in for these before I leave town next Tuesday zip me an e-mail and I'll get these out to you on Monday!!! Thanks for your support and enthusiasm - it is mind-boggling!!! THANK YOU, THANK YOU! Overcommitted - a word I don't like to mutter because many times I believe I can just do it all. Then life throws some curve balls and I scramble, scramble, scramble. It's a good thing I know how to juggle because the panic I feel inside to get EVERYTHING done is a little overwhelming. 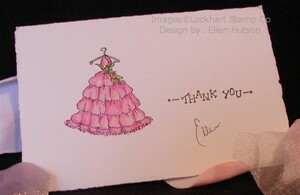 To all those who have been so kind with your comments regarding the Ornamental Place Cards I thank you profusely. I hope the classes get the same interest as you have all been expressing to me. Over the next few weeks I will work towards putting a "kit" together for those who are interested - your response has been so pleasantly surprising to me. I finally had the opportunity to share these with Karen today and she was tickled pink. There is nothing like the words of praise to keep encouraging me to think outside the box. FINALLY - samples for my Clearly Creative class. For those in the area - I will be teaching this class at Rubber Soul in Redmond and Art 'N Soul in Lacey. In this class we will learn about the different types of transparencies and vellum (clear products Ü) and the types of inks, glues, etc. that work well with these products. So please join in the fun and sign up for the class nearest you. 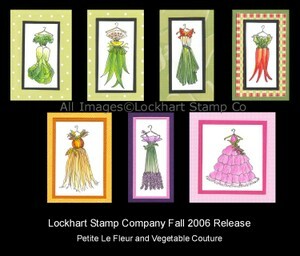 In this class I will feature the Lockhart Stamp Company Vegetable Couture line - I LOVE these little dresses!!! Deadlines - they can really make you crazy. What comes easily at most times can really become difficult if you have a deadline. 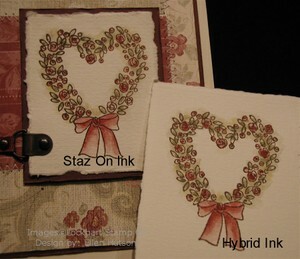 As I try to push the pocket with these little ornaments by trying to use only products you can purchase in your local stamp stores I perhaps made it a little more "tricky" than it would be otherwise. So after slips and slides, wrong materials, you name it - well you could say I have just a "few" throwaways - LOL! But the effort is always worth while because I did end up with some "Ornamental Placecards" that I am tickled with. 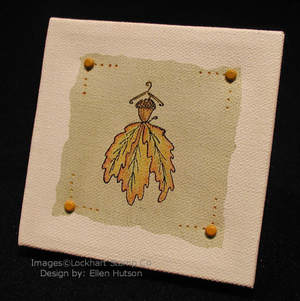 Just envision your holiday party with these little handmade gifts as your guest place card. You could stamp or write your guests name on this gift and then give it to them at the end of the evening. Each year they could then hang it on their tree to remember your friendship. So sign up for my class if you would like to know how to make these charming ornaments. Creating additional samples for stores for my upcoming class "Clearly Delectable Cupcakes" has allowed me to once again pull out my overhead transparencies and the Lockhart Cupcake and Cupcake Sentiment. In this class we will be covering the different types of transparencies and the best inks and products to use with this "clear" medium. I LOVE working with this medium because of the huge variety of ways it can be used. 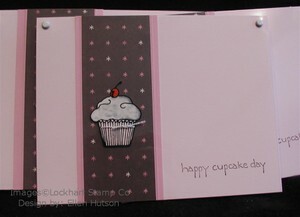 This particular card made me really hungry for a chocolate cupcake. It is funny how this wonderful chocolate paper from Memory Box could make me have the urge for a gooey chocolate cupcake Ü I did manage to resist, but now it's making me hungry all over again - LOL. Note: Out of respect to the store owners in which I am teaching this class I can not post the instructions at this time. Thank you so much for your understanding. I have always been fascinated by the qualities of glass. The colors and the way the light hits the glass can produce spectacular results! 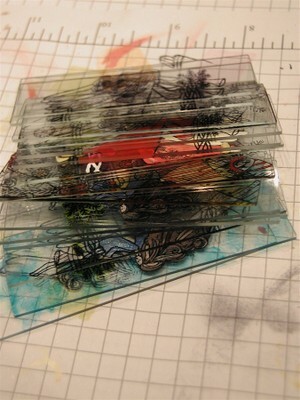 When I first started stamping I HAD to experiment with stamping on glass. Through that experimenting I have been able to develop these glittery little treasures that make wonderful little gifts come the holiday season. Microscope slides are the perfect size to turn into Christmas ornaments and/or jewelry. I can just visualize these little angels come Christmas time - with all the lights on a Christmas tree these will sparkle and shimmer. Edited to add: Thank you to all for you wonderful compliments. Out of respect to the store owners in which I am teaching these classes I can not post the instructions at this time. Thank you so much for your understanding. Time - it constantly gets away from me!!! Even while on vacation I needed to take along some things to work on. These are little creations to share with the stores to "entice" their customers to sign-up for the Canvas Art classes I'll be teaching. I'm in the process of creating a class gallery/album to share a "teaser" of what we'll be doing in class, so check back to my "classes" blog in the near future for updates. 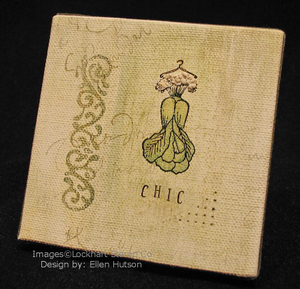 Canvas Art - using the adorable Lockhart Stamp Company vegetable couture dresses and whimsical angels I will teach the art of stamping using this medium as a background. 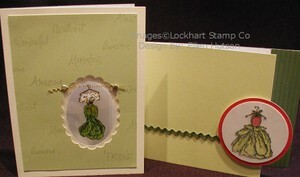 I'll be sharing "clean" designs as well as a "collagey" look. It would be wonderful to hear which style appeals to you more - so drop me a line and share your thoughts with me. The Last Precious Summer Days! What an amazing week! We've only been to the OR coast twice and each time we have totally lucked out!!! Having sunshine and temperatures in the 70's and 80's is truly miraculous. 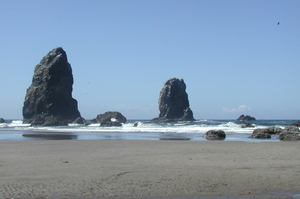 For those who have never been I'll share a couple of the beautiful sites to entice you to spend your $$$ in the wonderful little seaside community of Cannon Beach. 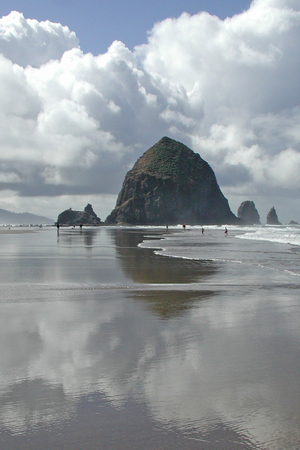 Haystack Rock is one of the largest monoliths. When the tide goes out the tide pools around it's base are teaming with wonderful little sea creatures. On the rock itself cute little orange-headed Puffins tunnel their nest three feet into the rock to raise their young. When it's time to migrate the poor little things have to take a giant flying leap and then fly 100's of miles to their next home. Simply amazing!!! If you ever get the opportunity to head west - take it!!! We stayed in a little house that was a block from the beach and three blocks from the magical little downtown. The art galleries, quaint little stores and restaurants enticed a stroll each day. One of my favorite places was a glass-blowing studio. To sit and watch these artists create such stunning pieces was such a treat. Magic I tell you - pure magic!! !